The second game of the season is just under two hours away. 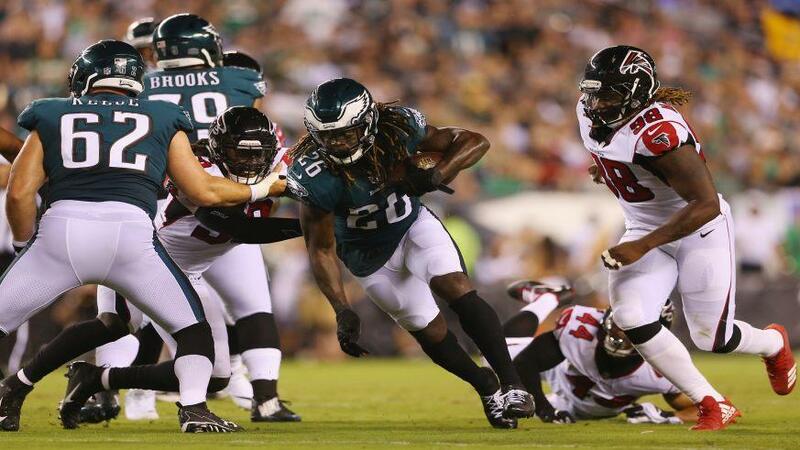 Last week, the Philadelphia Eagles used running back Jay Ajayi a lot and he was effective. This week they need to continue to do so. Last week, Ajayi ran the ball 15 times for 62 yards and two touchdowns. He was a key player in the second half of the game. Almost every time he ran, he was gaining a significant amount of yards. Going up against a Tampa Bay Buccaneers defense that gave up two touchdowns to New Orleans Saints running back Alvin Kamara, Ajayi might be able to replicate his last week statistics. However, Kamara was only able to gain 29 yards on the ground from eight carries. But, the Saints went down early and had to abandon the run. With the run abandoned, Kamara was still able to torch the Buccaneers for 112 receiving yards and a touchdown. The Eagles’ running backs are going to have a lot of opportunities to make a difference. Without running back Darren Sproles, the Eagles are left with Ajayi and Clement. Ajayi needs to be the featured back who gets the bulk of carries. If the Eagles get him going early, we’ve seen what he’s capable of. Ajayi not only can carry the Eagles offense, but take control of the game himself by keeping the Buccaneers offensive off the field. Ajayi is hungry this year and ready to prove himself as one of the top running backs in the league. Today, he’ll continue to impress and impose his will on the Buccaneers.